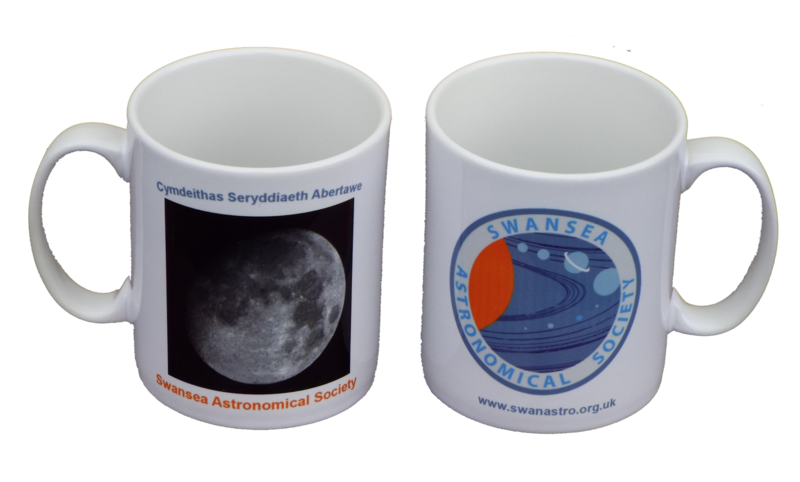 The Swansea Astronomical Society held a star party at Swansea Airport last night. 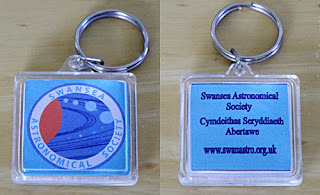 The weather was bad, but nevertheless, a small number of visitors came to look at the exhibition of telescopes and astronomical work, and to hear the talk by Brian Stokes. It is likely that star parties will not be held in the future is the weather forecast for the day is bad. Proper announcements will be made in plenty of time and a reliable information will be implemented before this decision is made. So, for the moment, "the show will go on". 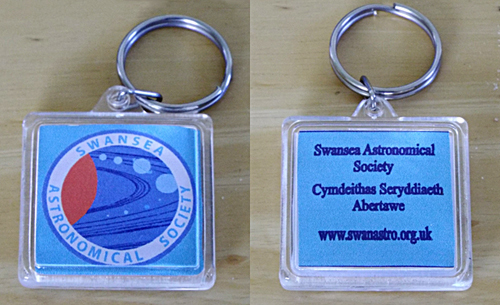 The new Swansea astronomical Society mugs were on sale and prototypes of an SAS keyring were shown by Alison.